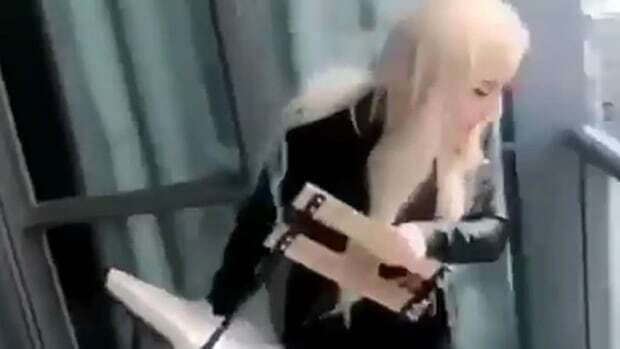 Toronto police said Tuesday they now know the identity of a woman who was caught on video throwing a chair from an upper floor of a downtown condo building. Police didn’t release the woman’s name, but told CBC Toronto they’re calling on her to turn herself in. The incident, which police believe occurred on Saturday at about 10 a.m. at a condo on Bremner Boulevard, overlooking the Gardiner Expressway and Lake Shore Boulevard, was caught on video and shared widely on social media on Monday. Const. David Hopkinson, spokesperson for the Toronto Police Service, said police have spoken with the woman, or someone acting as her representative. Hopkinson said police received many tips from the public, which was outraged by the incident, that helped officers determine the woman’s identity.